We just want to say hope you all had a nice Memorial Day weekend. We did we started out the Friday by playing at the Medina Entertainment Center. Not a huge crowd but a very loyal crowd. However, Bob at Medina did not realize it was over the holiday. I would like to thank all of you who came out. Bob is not giving up on us yet so I am hoping you will tell all the dancers we will be back on Friday, July 24th from 7:30 -11:30pm. I would like to see us bring in at least 100 people this next time or we may not be back. This has to be one of the biggest wood dance floors available to you in the area. So please come out and support us at the Medina. We aslo had a huge city crowd up at the Captain’s On Long Lake in Isanti. This crowd was ours all the way none of the locals, no campers, just Alan Godage and Sundown loyal fans. Thank you to all of you who have given this club a try. I hope you tell more of the city folks how nice this club is and that they have good food. I know for a fact the food is good as we have eaten there. Nice wood dance floor, friendly servers and they truly make our band feel appreciated. Come on out and give them a chance and not a far drive to hear Classic Country Music. Tell the servers where you came from and why you are there. No Cover either. Now for a GREAT HONKY TONK, The Bridge Tavern 4 miles north of Crosby. WOW what a fun club, HUGE crowds, great food, nice dance floor and SUPERB service. This is a real honky tonk and they do not have any other kind of music in there except Classic Country Music! Do yourself a favor an make the drive I promise you will not be disappointed. Check it out and you will enjoy the drive because of the beautiful scenery. Say hi to Joand Russ they will greet you with warm smiles and a chance to meet other Classic Country Music fans such as yourself. Don’t listen to the generic country! Stay true to Classic Country and it will be around for a very long time. This club is offering it to you and to us a band. Looking forward to playing at the Fish Lake resort huge dance floor and I hear they have great food. We are hoping to bring in the loyal followers from the Pink Diamond, and those of you who came out to see us at Roy’s in Bock and of course Milaca,Pease, and Princton. I have worked very hard to get into these clubs in your area. 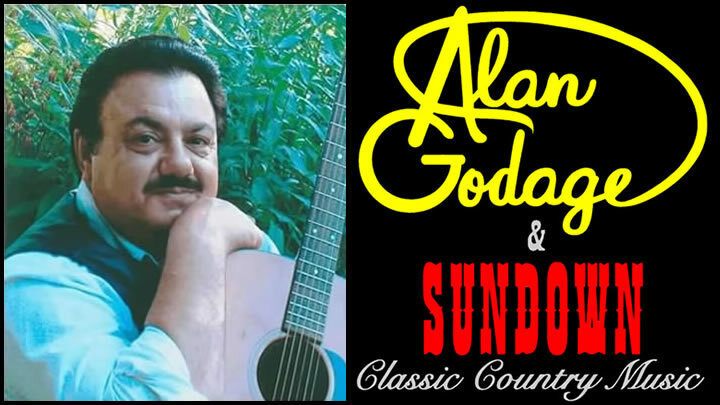 So please pass on the word your friends and fellow dancers that if they have been missing out on Alan Godage & Sundown because we have not been the area here is your chance to help keep us there! Now for band news some of you have noticed that we have a new steel player in the band, his name is Kenny Huston and he comes from Menominee, WI. He is guy who drives the farthest in this band and never complains and he is playing Classic Country Music and it is what he wants to play. So if you get a chance please welcome Kenny to your area. Have ratteled on long enough will go into detail on the summer jobs we are looking forward to playing again this summer.